Choosing a property management company for your rental property can be a difficult task. Purchasing your investment property was an important decision. Choosing a company to manage your investment is equally as important. We partner with our clients to grow! Donna Farrow & Company has been exceeding clients’ expectations for over 25 years. We specialize in property management, exit strategies, commercial leasing, residential rentals, property maintenance, and real estate consulting in St. Joseph. Real Estate investments require full-time attention and we at Donna Farrow & Company are dedicated to providing comprehensive care needed to maximize your return on investment. Our management services are structured to increase client equity for long term investments and minimize costs. Our service offerings include property management, commercial leasing, residential rentals, property maintenance and real estate consulting. Our proactive approach maximizes tenant satisfaction and reduces your tenant turnover rate. We fully understand how to successfully manage your property and keep your tenants happy. Our focus on immediate response to tenant needs reduces tenant complaints and increases tenant retention rates. Initial and final inspections are done on the property in addition to quarterly inspections with a written report forwarded to the owner. Managing a rental property is tough work. When you choose to work with us, we’ll take care of all the difficulties of managing a rental property….allowing you to sit back and relax. Learn how much you should be charging in rent. Learn how to increase your ROI. Need help managing your St Joseph Rental Properties? Brandy Steeby has always been very helpful with the accounting aspective. While dealing with someone that does not have computer skills, myself, she has shown great patience. Explaining how to find statements on the Rent Cafe. I currently have the Donna Farrow company managing my rental properties. I have to say I’m happy to leave them a 5 star review! Friendly, reasonable fees, competent, and overall a great bunch of people. I wish that all of life’s professional interactions were as pleasant as the one I have with the Donna Farrow company. If you’re considering professional property management, look no further than the Donna Farrow company. Well I had a great experience. I understand that new ownership /management is in control now but I was treated as a VIP. every way. Given the holidays always put every company doing catch up, this staff has been exceptional to myself and family. Donna Farrow & Company is a full-service real estate and property management company that was founded in 1991 with the goal of providing exceptional real estate consulting and property management services in St Joseph and surrounding areas. Our core mission is to professionally serve real estate investors with outstanding property management services that are accompanied by measurable results. We value every single one of our clients and treat each property we manage as our own rental properties. We have been a trusted name in St Joseph property management for over 25 years. We excel in managing real estate investments whether it is a commercial property, single family home, or multi-unit building. Effective marketing of your vacant property is essential to the success of your investment. Effective marketing is required to attract high quality tenants, in a short period of time. Our marketing services will reduce the period of time your property remains vacant. Effective tenant screening processes are crucial for the success of your real estate investment. Our tenant selection policy insures only qualified applicants will see your property. We process applications, verify information and run a credit check to ensure applicants meet our tenant selection policy. It’s without a doubt that your property will eventually require repairs and maintenance. Our maintenance coordinator consolidates service contracts and obtains quantity purchase discounts which save maintenance dollars. Collecting rent on a monthly basis can be a time-consuming task. Our rent collection processes allow your tenants to pay their monthly rent online, which allows for secure, timely, and smooth rental collection each month. 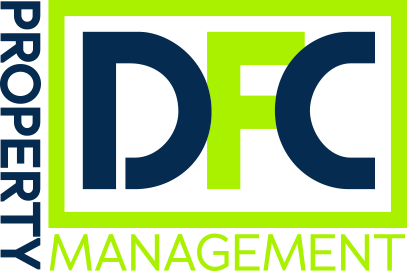 Using our state-of-the-art property maintenance and accounting software, DF&C will provide you with Monthly/Quarterly financial statements, including disbursement of proceeds reports, and property status reports.